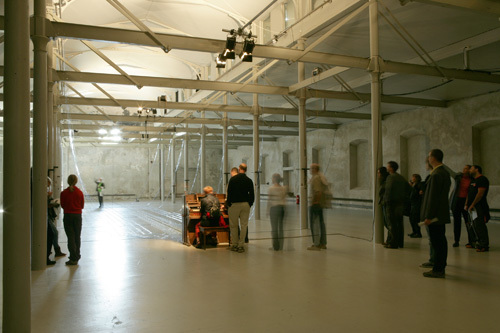 Playing the Building is a sound installation by former Talking Heads frontman David Byrne. 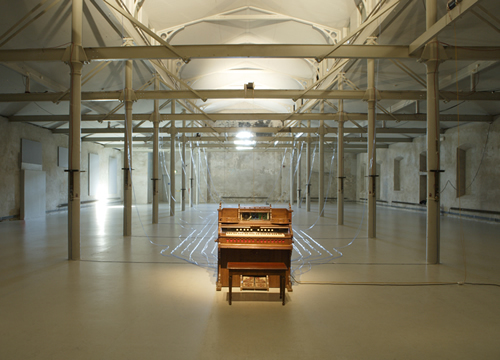 In Playing The Building the entire building resonates as a muscial insruments triggered via an organ which visitors are invited to play. 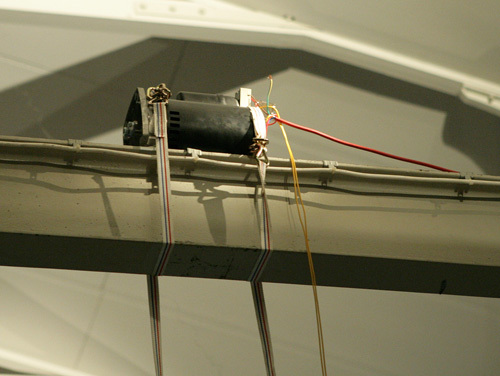 Metal beams, fixtures, fittings and supporting structures are activiated via wind, vibration or percussive striking.